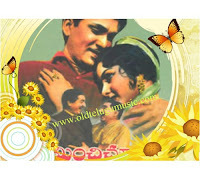 Preminchi Choodu is a 1965 Telugu comedy film directed and produced by P.Pullaiah. The film is a remake of the Tamil comedy "Kaadalikka Neramillai," directed by C.V.Sridhar.The music score by Master Venu and the lyrics by P.B. Srinivas and others gave some hit songs.